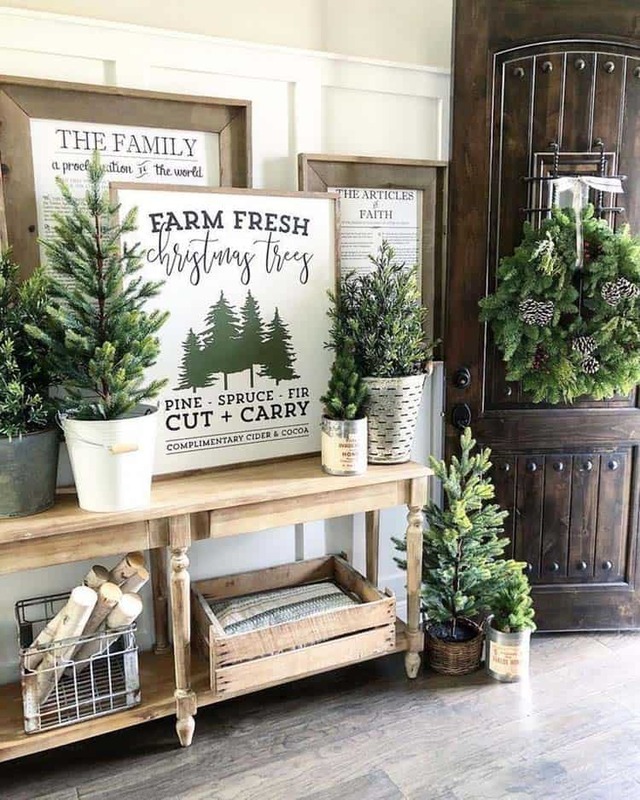 Your Christmas decorated entryway should welcome guests with an abundance of festive decor, including greenery, garlands, wreaths and ornaments. 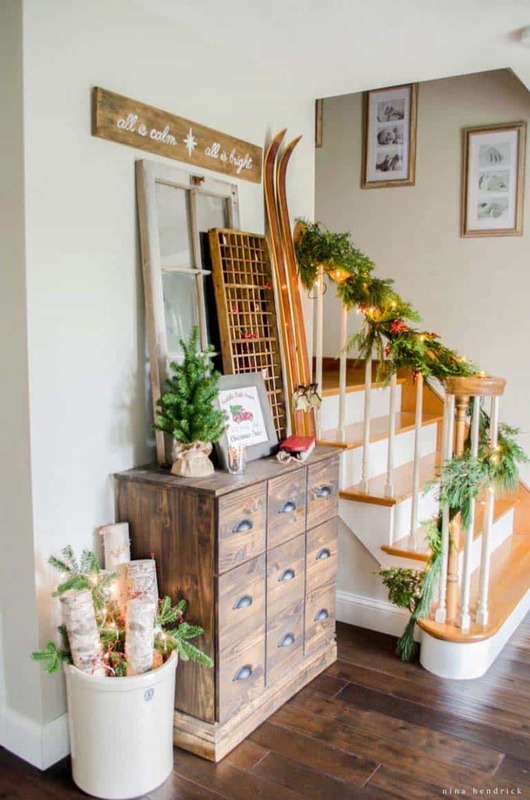 The foyer is where guests are welcomed, so it should be a space that does not get overlooked when you begin your holiday decorating. 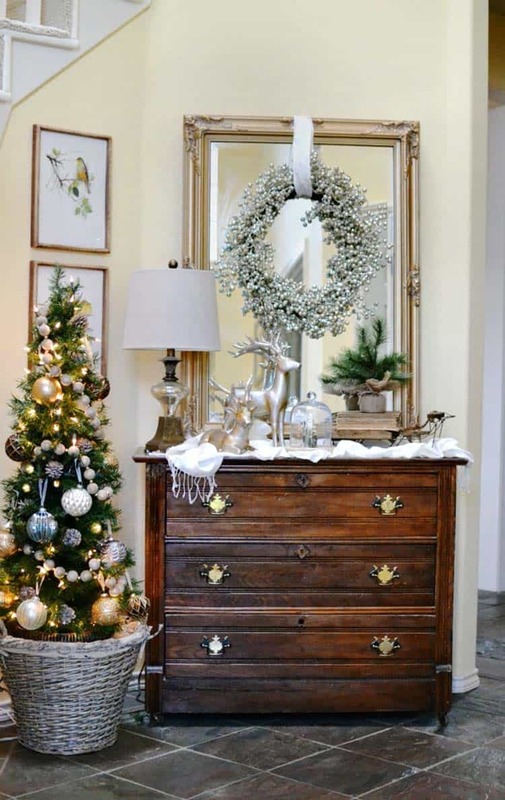 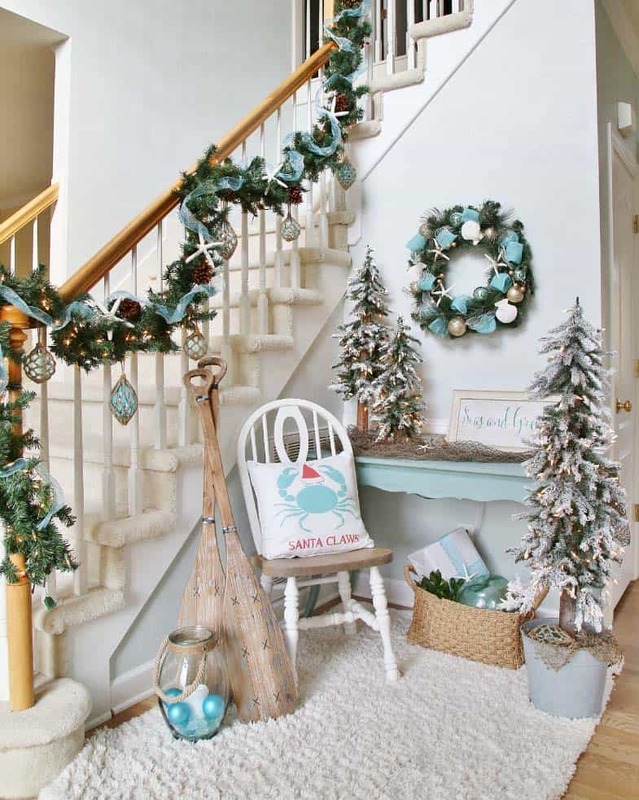 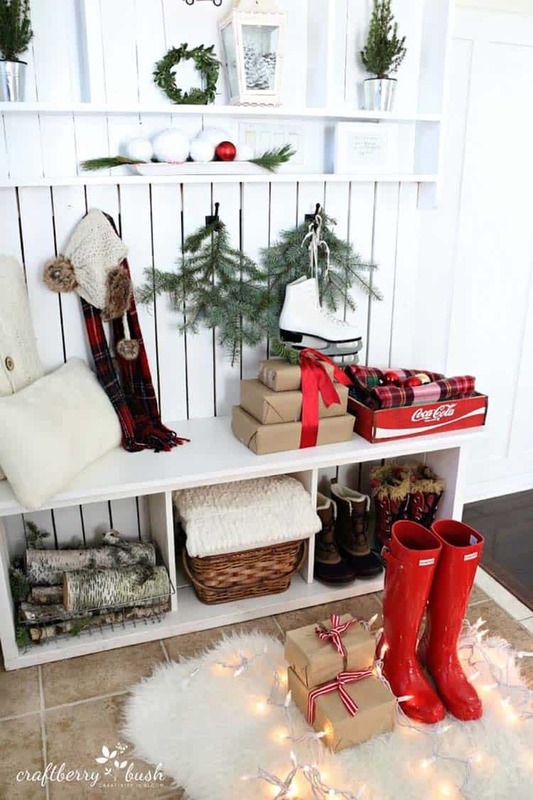 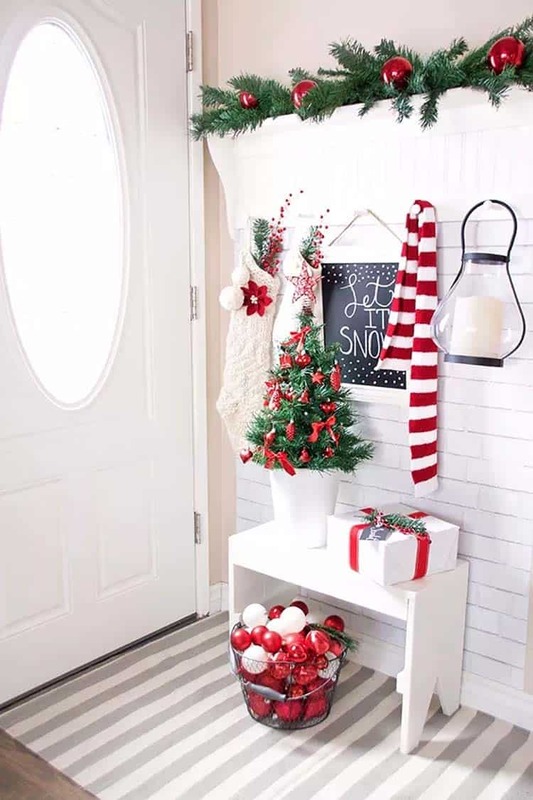 Even if your entryway is a small space, it is an area where Christmas decorations can have a huge visual impact. 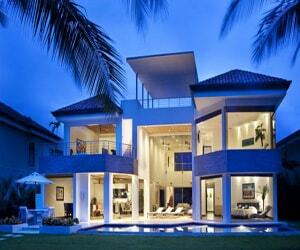 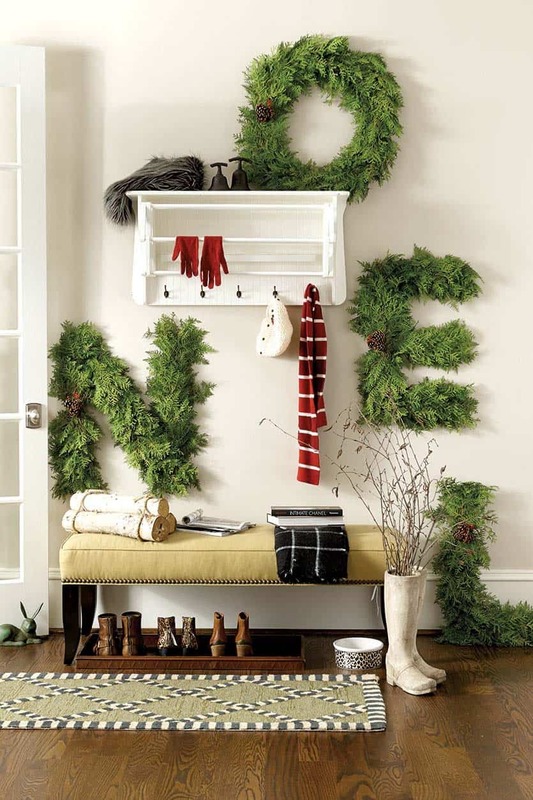 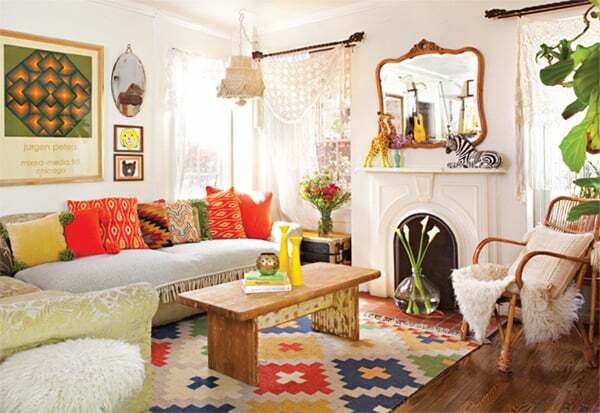 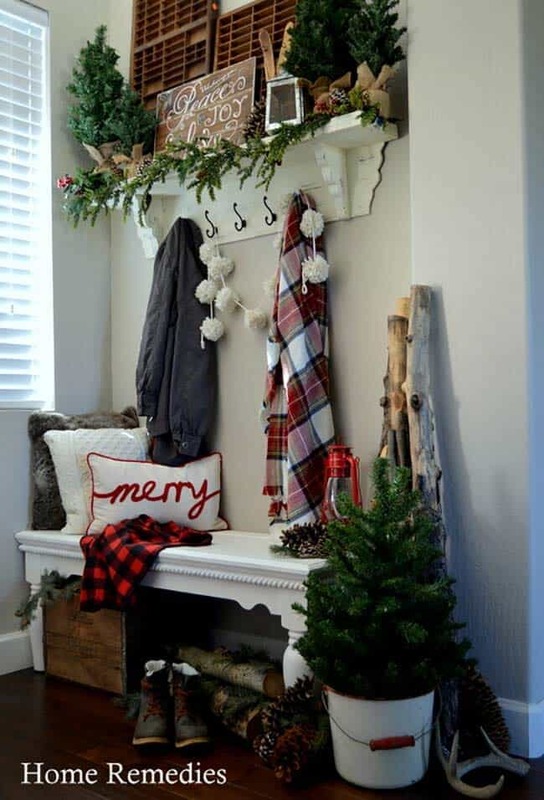 So gather together some of your favorite decorations and get creative with your space. 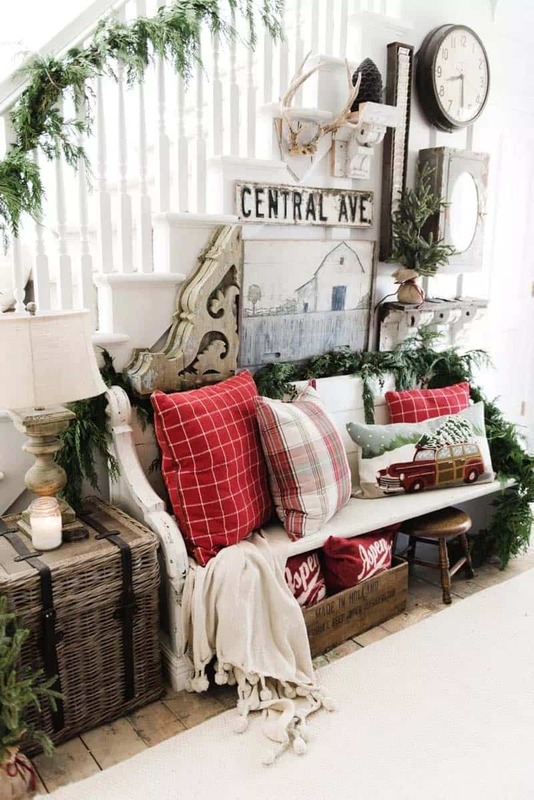 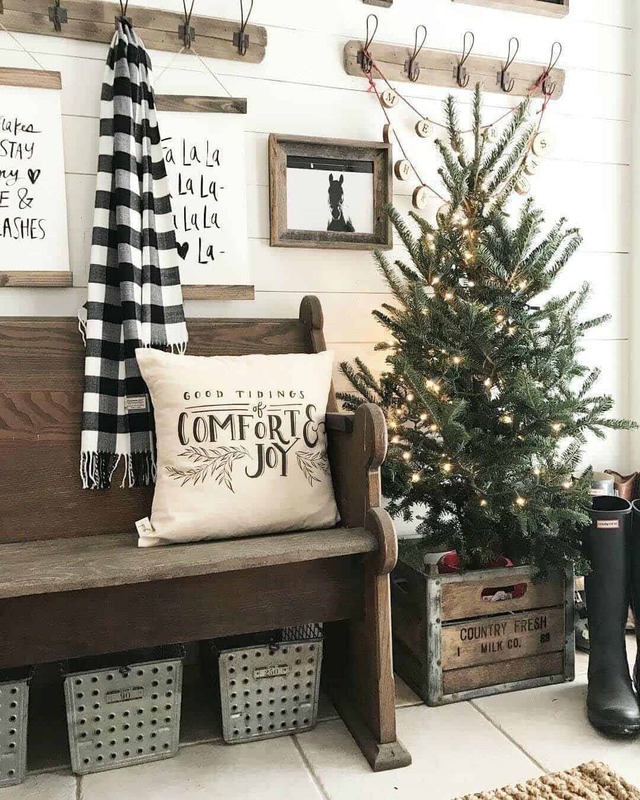 From trees and garlands to cozy throws and holiday pillows, string lights and glittering ornaments, dazzle your guests with your creative style. 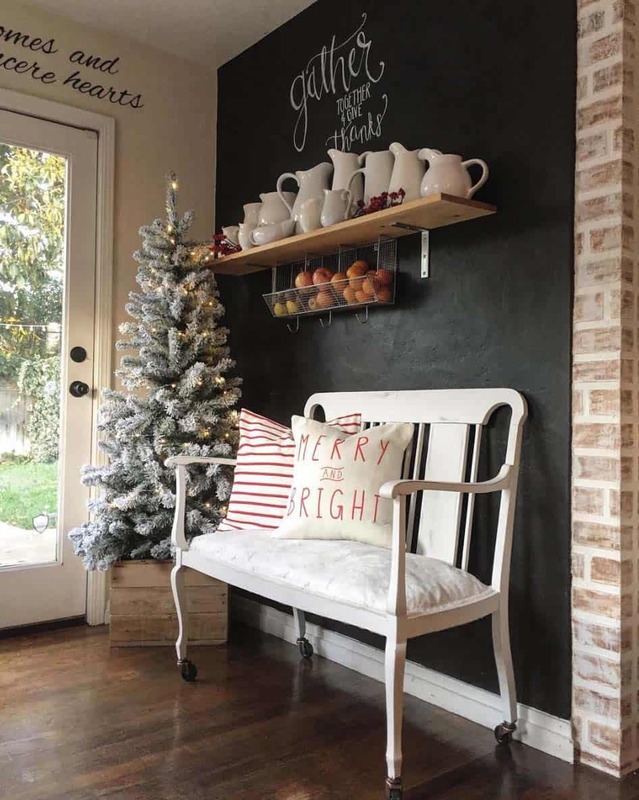 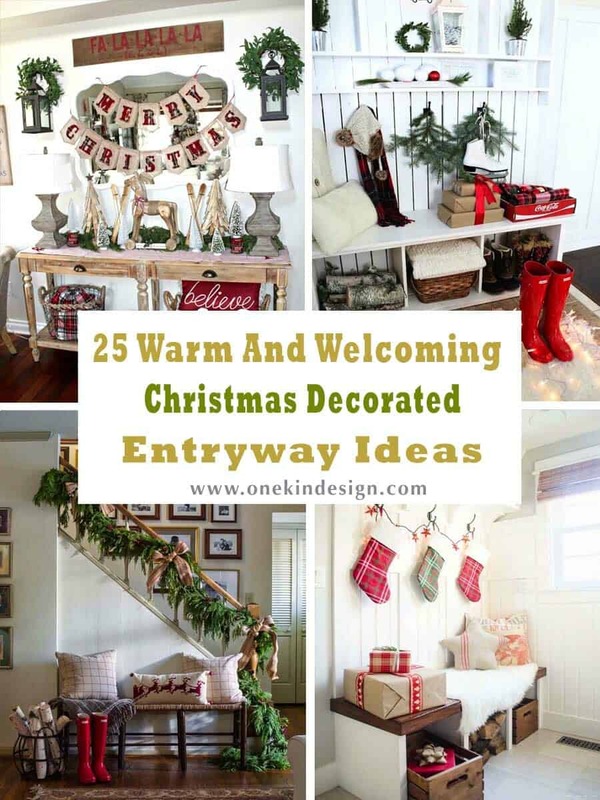 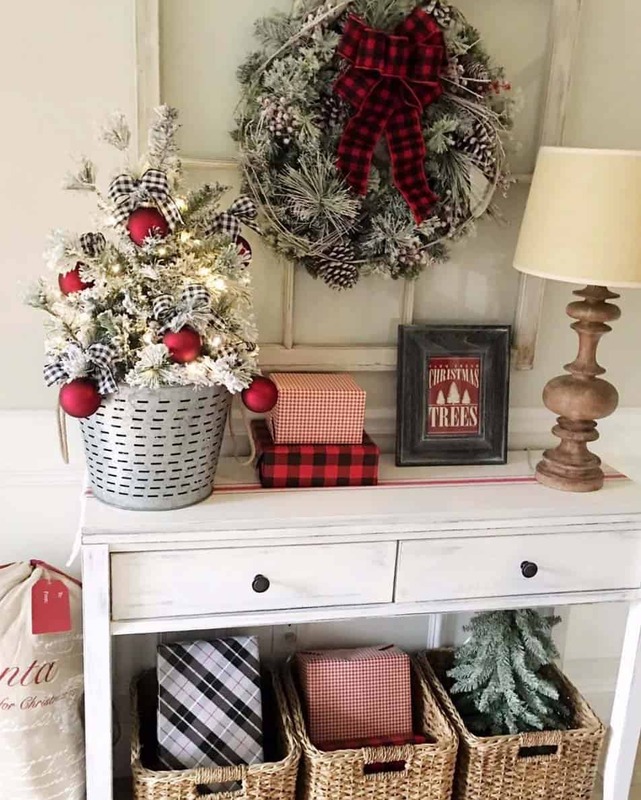 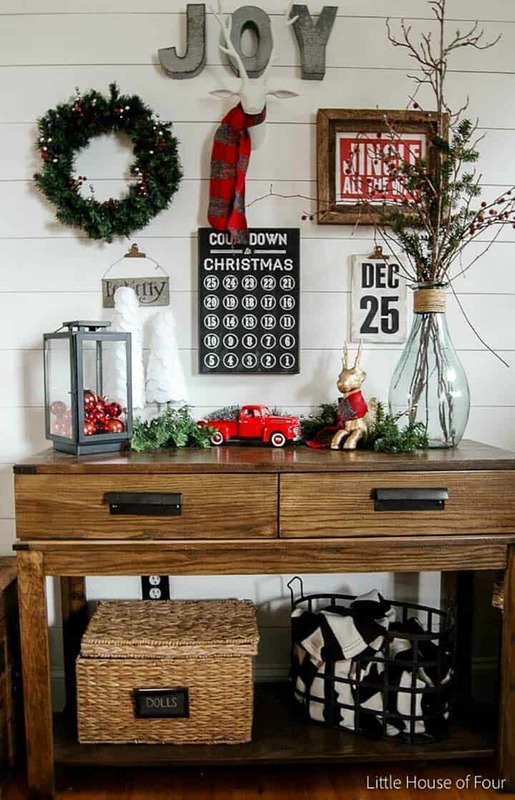 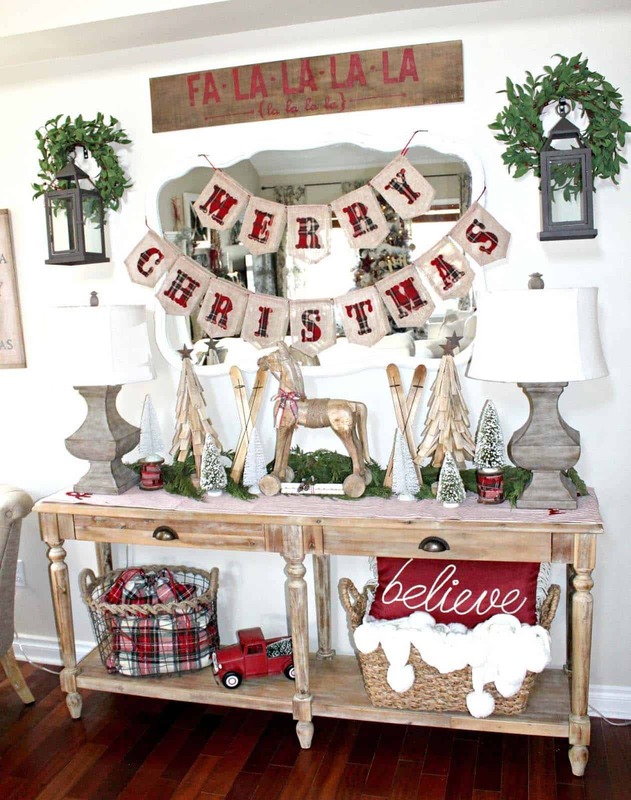 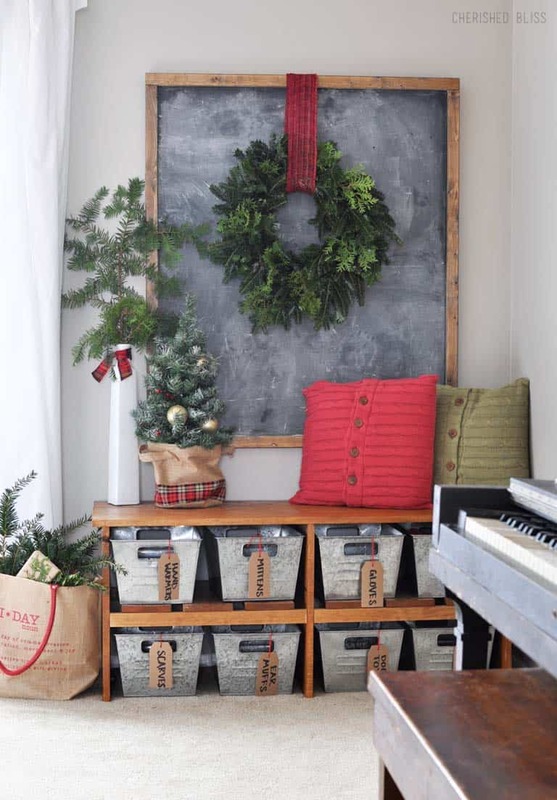 We have put together a collection of ideas to help get you started on your Christmas decorated entryway. 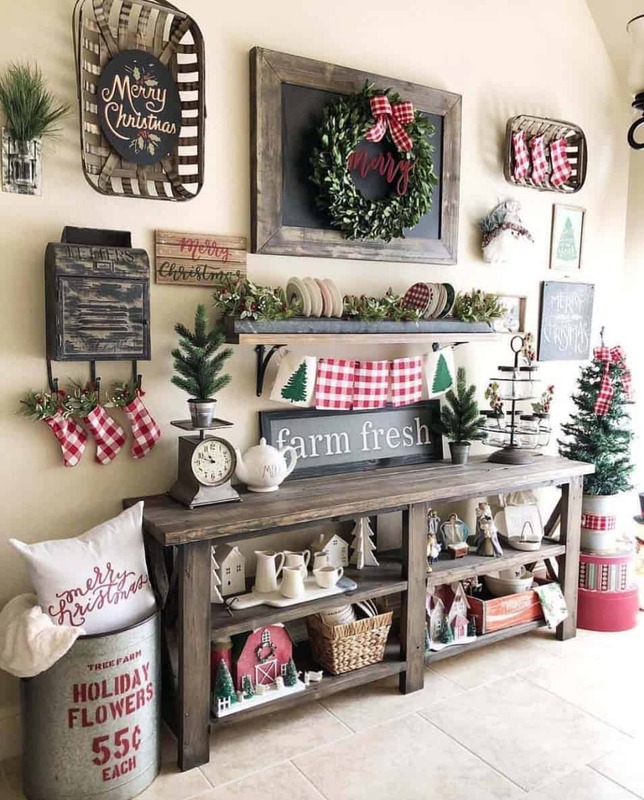 Each image below gives further details on the space, including resources and a link to get tutorials on how to further DIY. 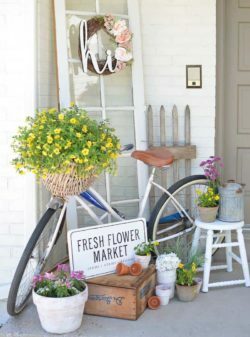 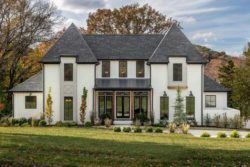 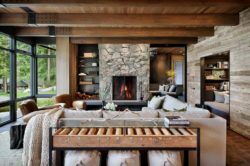 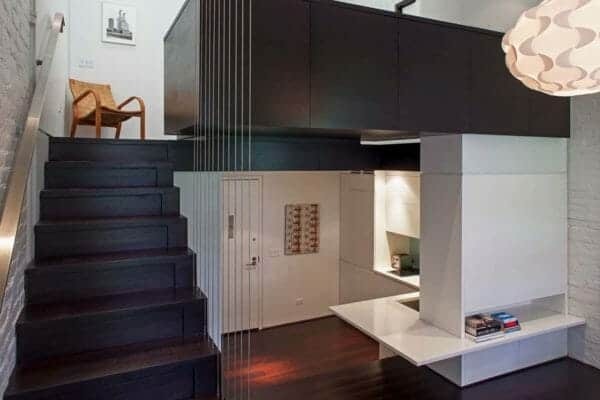 Each of these ideas can be fully customized to work with your space. 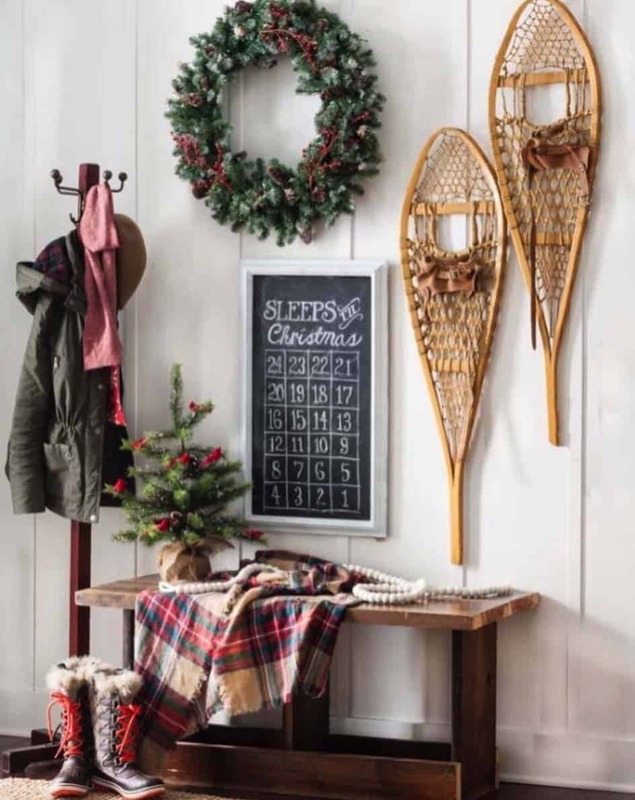 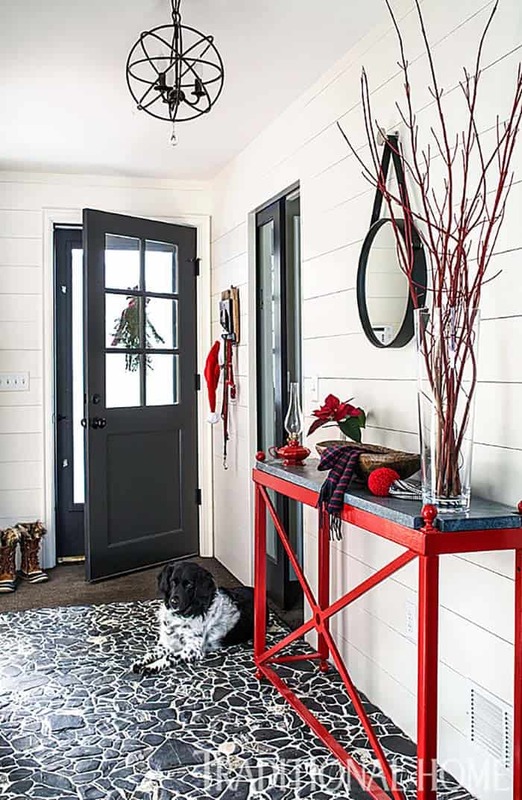 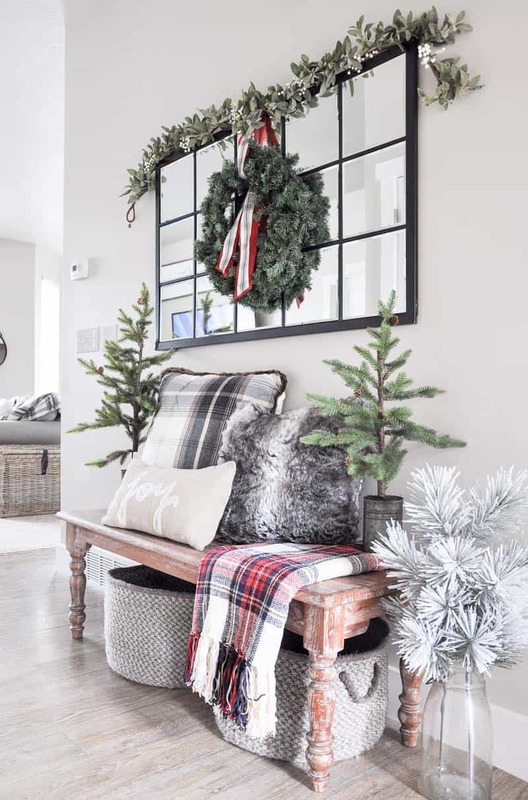 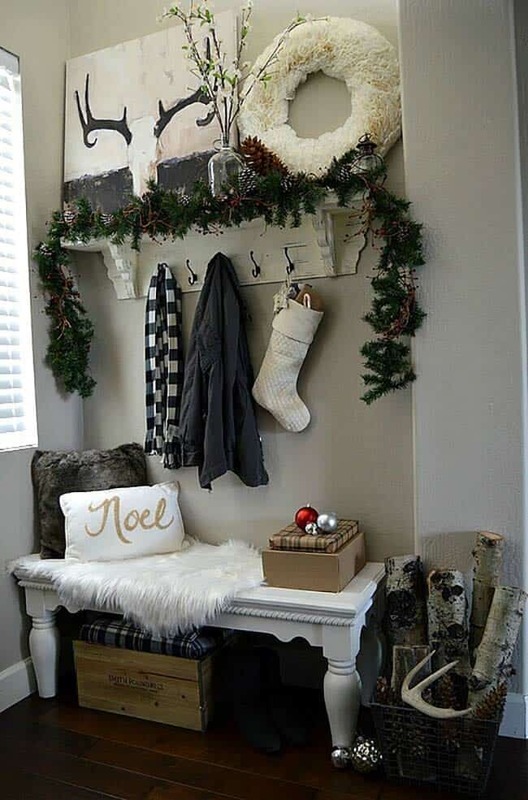 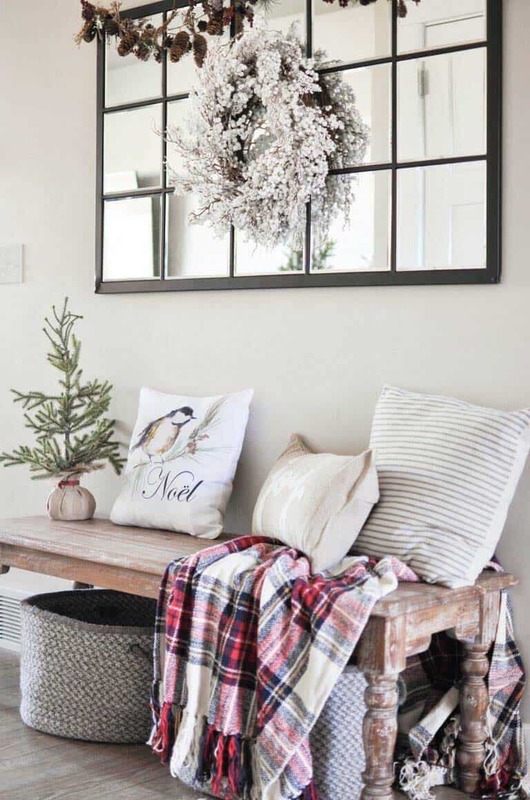 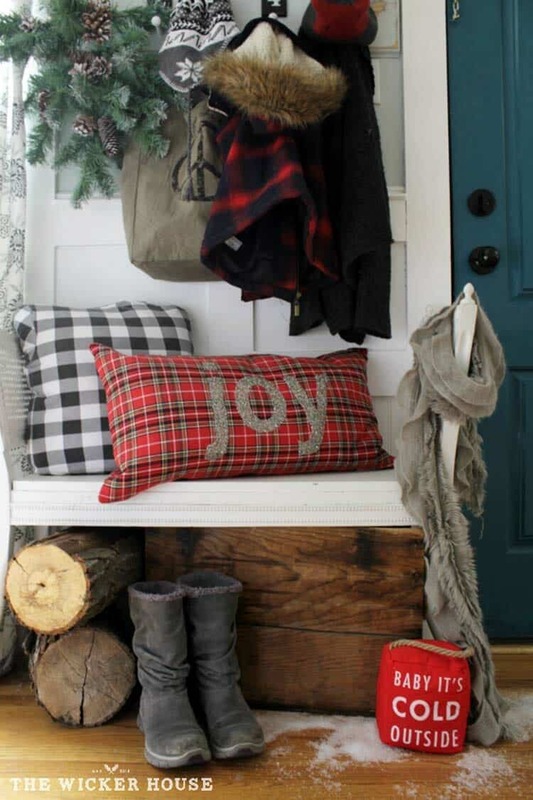 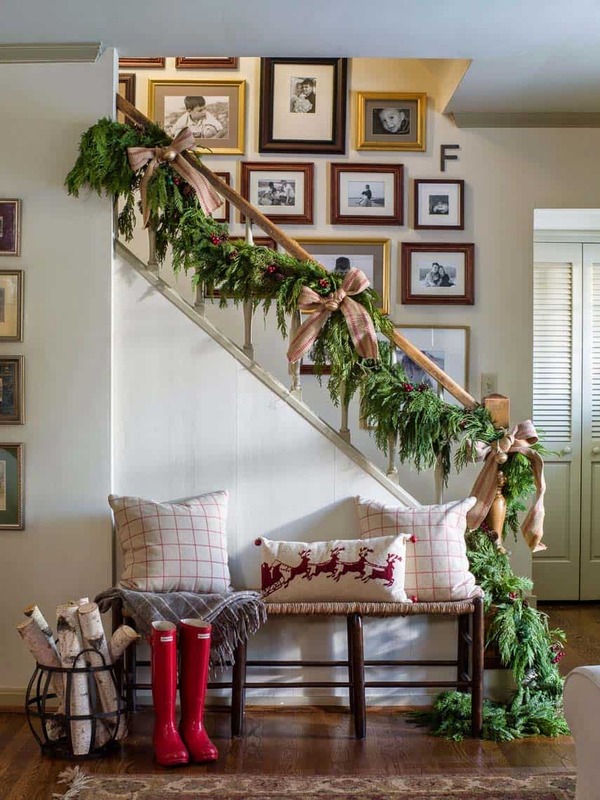 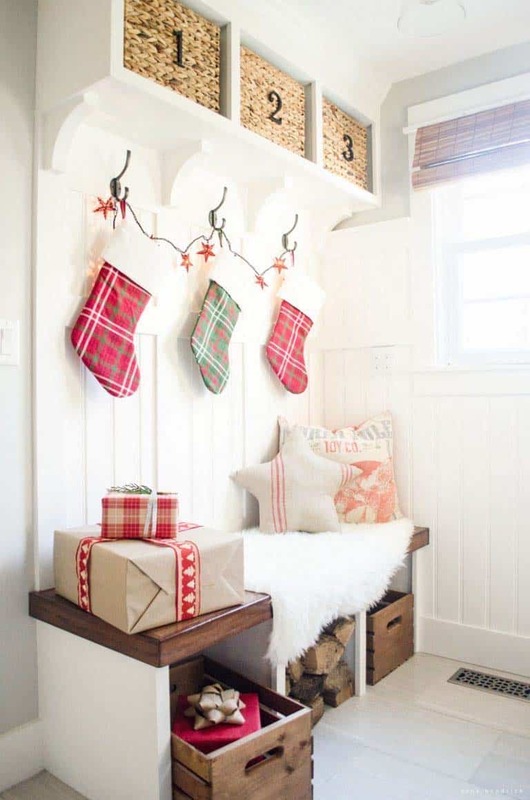 These decorating ideas should further inspire you to incorporate them into your home’s entryway, creating an inviting and personalized entry that will sparkle throughout the holiday season.